Bad news for Atlus – 1UP and others indicate that the official website has been hacked and infected with a nasty trojan. Users who’ve visited the site in the last 24-48 hours are encouraged to give their systems a good Brillo-padding to ensure that they weren’t infected in a driveby. 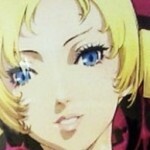 We heart Atlus here, and we feel a sense of solidarity with those who’ve been hacked. Keep fighting the good fight, Atlus! But this doesn’t exonerate you for Operation Darkness. YAY! They’re back. I’ve missed the Atlus Faithful emails.